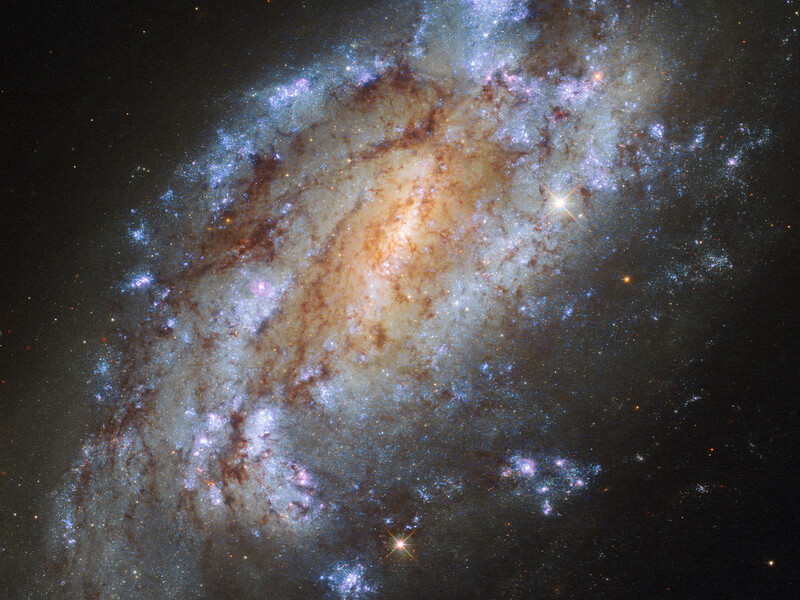 Roughly 50 million light-years away lies a somewhat overlooked little galaxy named NGC 1559. Pictured here by Hubble’s Wide Field Camera 3, this barred spiral lies in the little-observed southern constellation of Reticulum (The Reticule). NGC 1559 has massive spiral arms chock-full of star formation, and is receding from us at a speed of about 1300 km/s. The galaxy contains the mass of around ten billion Suns — while this may sound like a lot, that is almost 100 times less massive than the Milky Way. Although NGC 1559 appears to sit near one of our nearest neighbours in the sky — the Large Magellanic Cloud (LMC), this is just a trick of perspective. In reality, NGC 1559 is physically nowhere near the LMC in space — in fact, it truly is a loner, lacking the company of any nearby galaxies or membership of any galaxy cluster. Despite its lack of cosmic companions, when this lonely galaxy has a telescope pointed in its direction, it puts on quite a show! 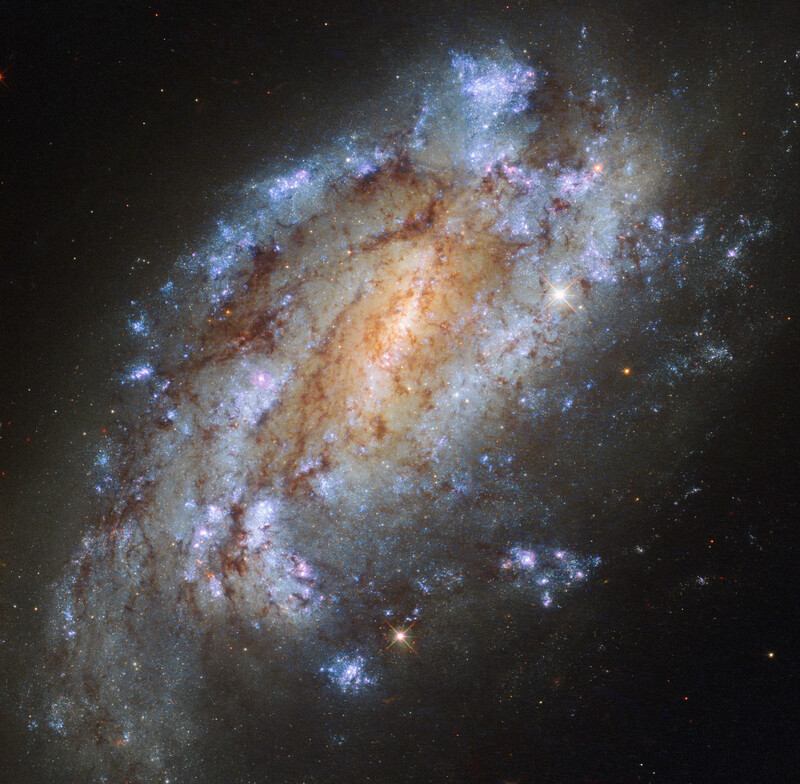 NGC 1559 has hosted a variety of spectacular exploding stars called supernovae, four of which we have observed — in 1984, 1986, 2005, and 2009 (SN 1984J, 1986L, 2005df [a Type Ia], and 2009ib [a Type II-P, with an unusually long plateau]). 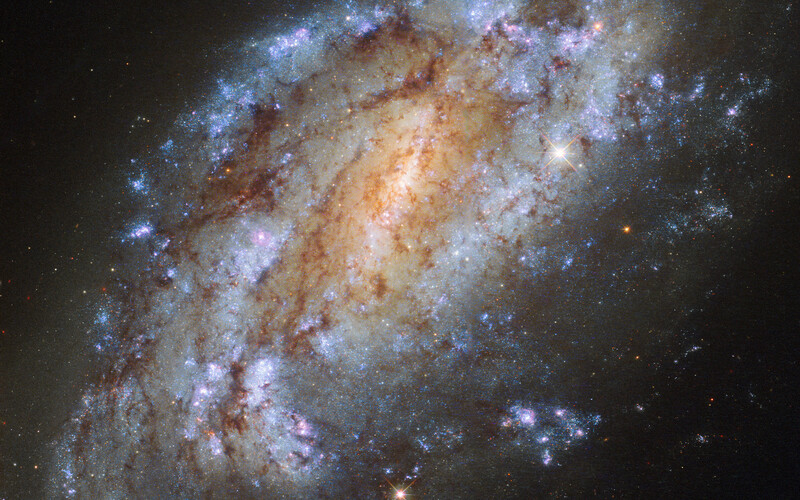 NGC 1559 may be alone in space, but we are watching and admiring from far away. Position (Dec): -62° 47' 4.65"